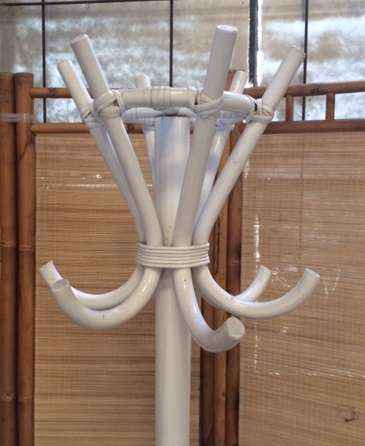 Our bent rattan hatstand will hold your hats, jackets, scarfs and umbrellas. Available in white, chocolate and natural. Classic design and beautifully made from quality rattan cane. PRICE $ 88.00 DIMENSIONS: 40 x 40 x 178cm H Please note: Large furniture orders may require a shipping quote or adjustment – we will contact to confirm delivery for these purchases. If you have any questions contact us.